David Segal was born in Israel and is the son of violin maker, painter and wood carver Mendel Segal. Trained in Cremona, Italy at the International School of Violin Making, he was a student of Francesco Bissolotti, GioBatta Morassi and Pietro Sgarabotto. After graduating in 1972, he worked with Fernando Sacconi, who invited David to join him at the premier violin shop of Rembert Wurlitzer, Inc. in 1973. 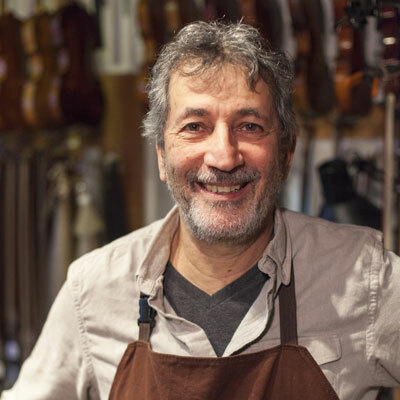 Since 1975, David has maintained his own studio in New York City and continues to make new instruments as well as repairing and restoring stringed instruments. His violins, violas and cellos have been featured in numerous recordings on the Musika, Telarc and Newport Classic labels as well as on video releases of the Metropolitan Opera Orchestra of New York City and several short films. Instruments by David Segal are currently being played all over the world. He is also an expert and dealer in rare and antique instruments and bows and has been a member of the Appraiser’s Association of America since 1981. Among other achievements, David founded the Waterville Valley Music Center in New Hampshire. A painter and amateur musician, Diane Mellon has been manager of David Segal Violins, Ltd. since 1981. She comes from a long line of artists and musicians and as the primary contact and salesperson. Diane has cultivated many friendships and created strong bonds with her clients. 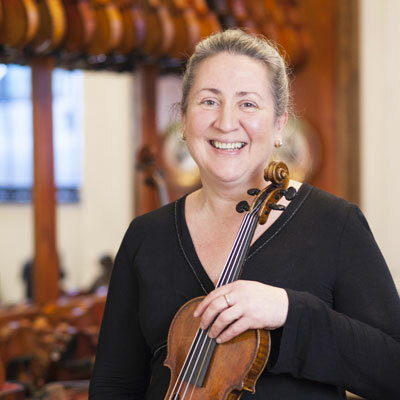 Her many years of experience have enabled her to work closely with teachers, students and professionals to help them find the right instruments and bows. Her fantastic ear, impeccable memory and genuine passion for her profession are some of the great assets she brings to the company. 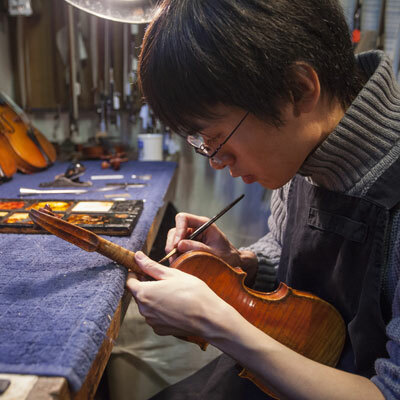 Trained in Cremona and a graduate of the International School of Violin Making, Hideo Nagai is also the recipient of several medals for workmanship and sound, including a gold medal awarded in 2008. He joined the firm in 2010 and has been working on restoration of instruments as well as building new violins. Appointments may be made in advance. ©2014 David Segal Violins, Ltd.